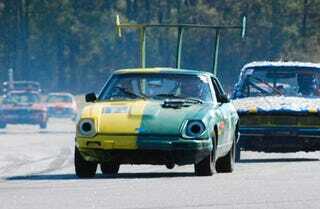 Why Don't Datsun Zs Dominate The 24 Hours Of LeMons? It's a real head-scratcher: the Datsun/Nissan Z has plenty of six-banger power, independent rear suspension, four-wheel discs, good build quality… yet so far none has placed better than eighth in LeMons. Why is that? It's not for lack of trying; we've seen a vast assortment of 240Zs, 280Zs, 280ZXs, and 300ZXs at 24 Hours Of LeMons events so far, many piloted by seriously skilled drivers and wrenched upon by gnarled old Datsun mechanics with centuries of experience, yet: 8th place! 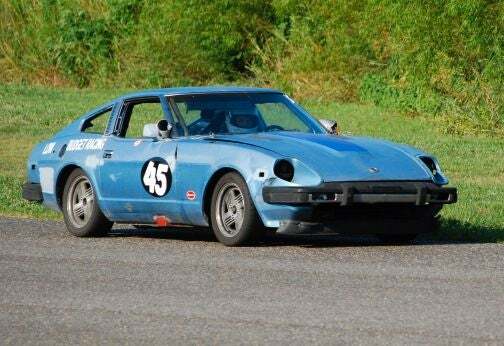 Low Budget Racing's 280ZX was leading the Laissez Les Crapheaps Roulez race for most of the first day, but lost precious track time due to ignition-system woes. Driveshaft Through The Skull symbol creator Walker Canada's 300ZX team likewise took 8th place at the 2008 LeMons South event. Same old story; the car was one of the race leaders for quite a while, then got nickeled-and-dimed out of a top spot by minor mechanical glitches. And unlike, say, the Honda Civic and its tendency to pop head gaskets, or the small-block Chevy with its overheating problems, there's no consistent pattern of failure for the Zs; we've seen Zs knocked out of contention by the entire spectrum of busted parts: grenaded engines to undiagnosable electrical problems to sanity-fraying fuel-system woes to bombed transmissions. It's not just the Zs; no Nissan has ever finished higher than 5th at a LeMons race. So what's the deal here? I just don't get it- these cars should be doing much better than they've done! Is it just that $500 Nissans just aren't cut out for this endurance-racing business (unlike Toyota, with five LeMons victories, and Mazda with four)? Bad luck? Let's have a poll!